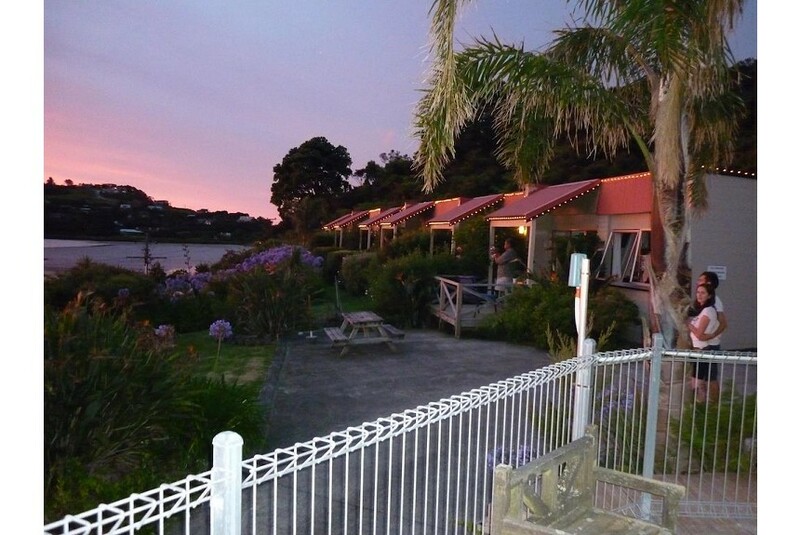 The Harbour View Motel in Coromandel is the gateway to the untouched beauty of yesteryear. This natural wonderland boasts fantastic beaches, lush native vegetation, great walks, the best snapper fishing the world has to offer and the quirky village atmosphere of Coromandel Town. Are you looking for a peaceful retreat, a short break away, or basing your holiday in Coromandel whilst you explore the peninsula? Then this is the motel for you. We are located on the beautiful Coromandel Harbour. The only motel in Coromandel Town with 270 degree views of the harbour. Imagine relaxing on your own private deck and watching the sunsets and the ever-changing scenes over the Coromandel Harbour – the colours of the sea, changing of the tides, freshness of smell and the peace and quiet. Remember, one night will not be enough! Free kayaks, free bikes, free BBQs, free spa, free WiFi, and free smiles. Facilities include a fish-cleaning station.